Operating paratrooper missions and training the soldiers who are the first in from the sky, the US Army Airborne are an elite group. Show your pride in this group with the comfortable and stylish Army Airborne T-Shirt. 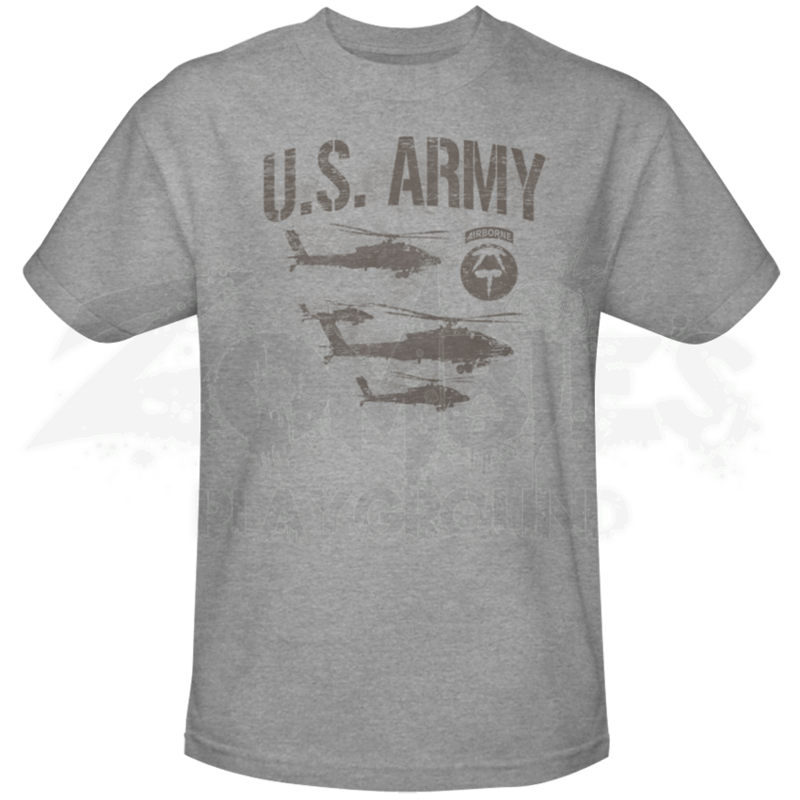 Set on a grey cotton t-shirt with Army script, helicopters, and the airborne insignia this shirt has everything to show your support for the Airborne. The Army Airborne T-Shirt is made from 100% High Quality Cotton and is great for everyday wear. Be sure to grab your own Army Airborne T-Shirt today so you can show your support.